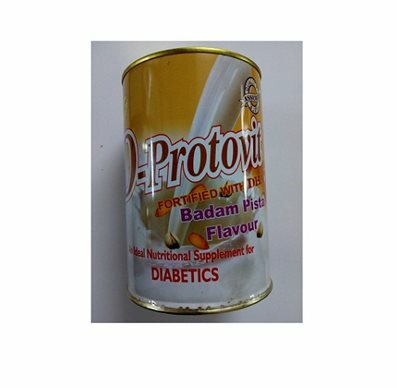 D-Protovit is an ideal protein supplement and is scientifically formulated. D-protovit with a high protein content, supplies essential vitamins and minerals. D-protovit is a wholesome nutritional drink. D-protovit boost the immune system and supports vital body functions. Ingredients- Nonfat milk, Solids, Maltodextrin, soya Protein isolate, Soluble fiber, vitamins & Minerals. Direction for use- 2 Table spoons twice daily in lukewarm milk or water, not to be used with boiling or hot milk & water.